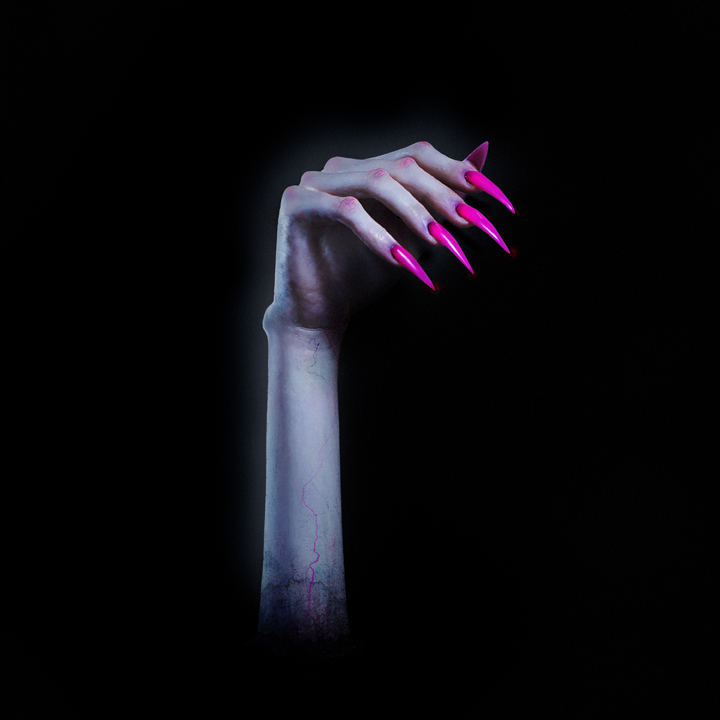 Kim Petras haunts in Halloween month with a ghostly mixtape. What exactly are we learning from Kim Petras? Well, for one: There is no specific market formula to success. With eight stand-alone records out over the past 12 months, Kim has been releasing the year’s best pop music and hitting the charts without a major record label behind her. Two: Clearly we all need to be taking Halloween way more seriously. The singer’s latest is a Halloween-themed mixtape released (unannounced) today, Turn Off The Light, Vol. 1. Featuring eight brand new thematically titled tracks, including “o m e n,” “Tell Me It’s A Nightmare” and “In The Next Life,” which stars Kim finally singing in German, Turn Off The Light, Vol. 1 haunted straight in on the first day of the year’s spookiest month, and I’m sure a lot of fans are shook. Not for nothing, but the mixtape shines yet another light on Kim’s diabolical taste for pop music. If her previous singles like “I Don’t Want It All” or “Heart to Break” instructed us on her taste for the sparkle and sheen of pop delight, Turn Off The Light, Vol. 1 (And I haven’t even mentioned that “Vol. 1” implies a “Vol. 2″…) let’s us know arena-anthems are not far from her reach. Elongated fingers or not, Kim has proven again that she has a firm grip on her not just her own musical needs, but the general audiences’ wants as well. The mixtape has a more fully rounded electronic, synth driven sound. It’s also camp as hell. “TRANSylvania”? “Turn Off The Light (feat. Elvira)”? OK. The 808s are deeper, the tracks’ tempos are heartbeat adjacent. I imagine this is exactly what you would want to be the soundtrack if you were dying in a Ryan Murphy television show. The mixtape plays at 23 minutes in its entirety and is a chilling gust of melody, rhythm and ghoulish-timbre. What we have here is another superb presentation of well-rounded pop-entertainment from the best girl making the music right now. Kim knows exactly where the culture’s at and she’s beginning to really steer its course with a screaming mob of fans from every walk of life behind her. Kim, who transformed her image into something of a perfect corpse in the weeks leading up to the mixtape release, is the glitzy-zombie guiding the new pop-mob. And damn, it sounds so good.